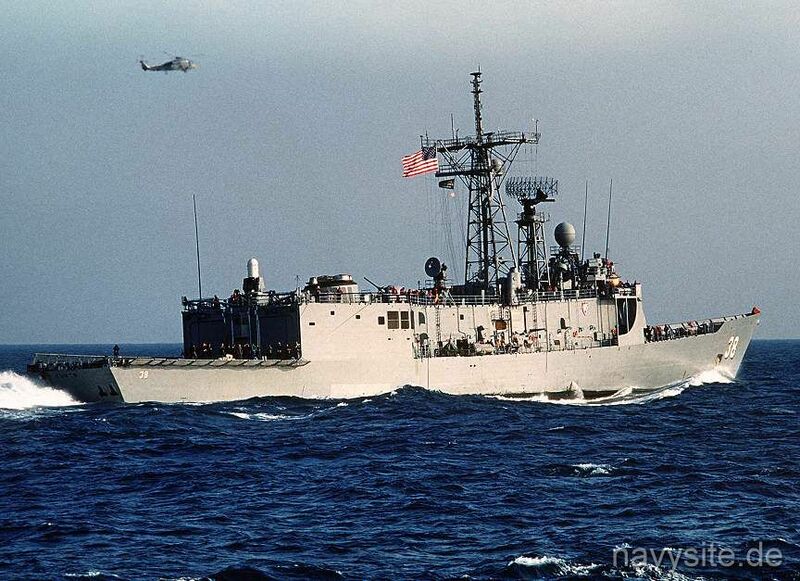 USS CURTS was one of the long hull frigates in the OLIVER HAZARD PERRY class of guided missile frigates and the first ship in the Navy named after Admiral Maurice E. Curts. 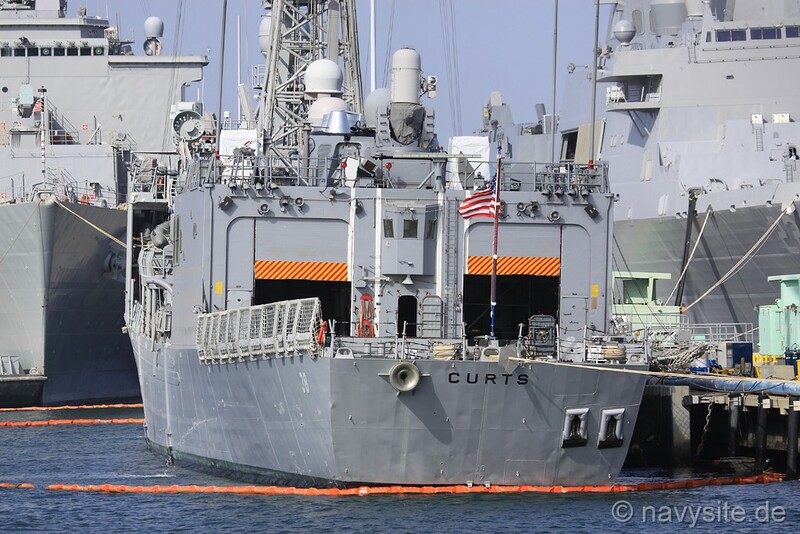 Since September 30, 1998, the CURTS was part of the Naval Reserve Force which means that a part of her crew was comprised of naval reservists. The ship was last homeported in San Diego, Calif. This section contains the names of sailors who served aboard USS CURTS. It is no official listing but contains the names of sailors who submitted their information. 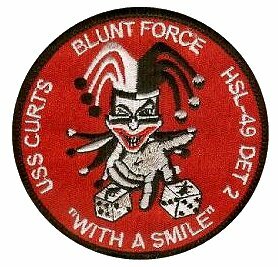 Click here to see which USS CURTS memorabilia are currently for sale on ebay. The wavy division of the shield alludes to the oceans of the world. 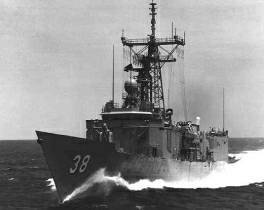 The flaunches suggest radar waves, in reference to the outstanding contributions to the development of radar made by the ship's namesake Admiral Maurice E. Curts. The four stars in chief denote his highest rank achieved while on active duty. The flaming bomb in base refers to Admiral Curts' combat service during the Philippine Islands battles of World War II. The cross pattee signifies the Navy Cross awarded to him for heroic conduct while commanding the USS COLUMBIA during those battles. The ship's wheel symbolizes the authority entrusted to Admiral Curts at the fleet command level, and his leadership of the U. S. Naval Forces both during and after the World War II. The heraldic symbolizes two awards of the Distinguished Service Medal for "exceptionally meritorious service" in numerous high commands. 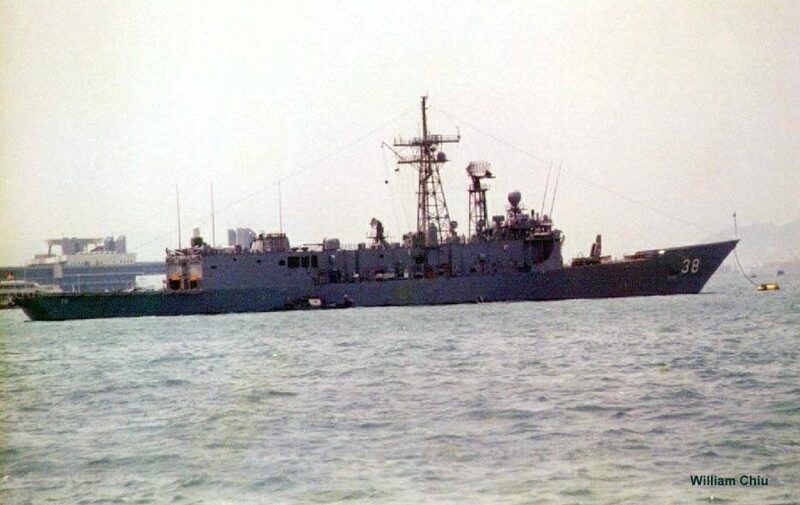 In 1993, while in dry-dock, CURTS received the 4100-ton class modification, extending her stern another eight feet and enhancing her combat capabilities immensely. 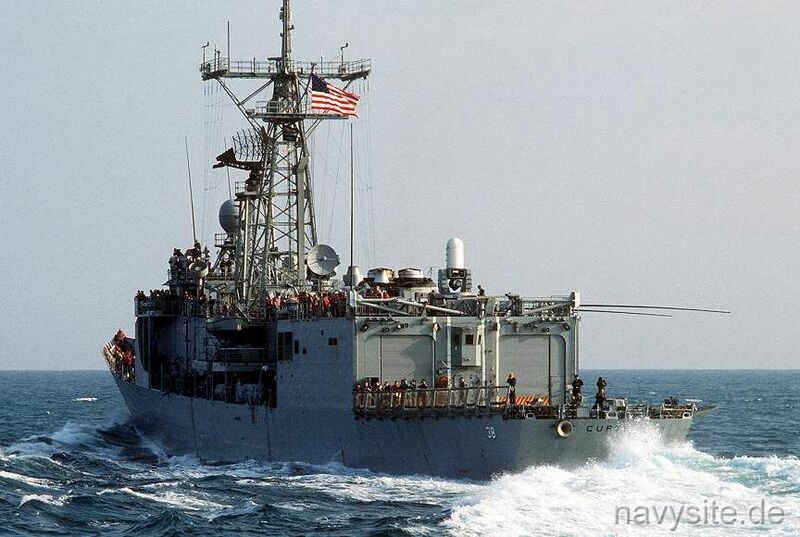 In October 1993, she joined the USS INDEPENDENCE battle group to participate with the JMSDF in the joint anti-submarine warfare exercise MAREX. 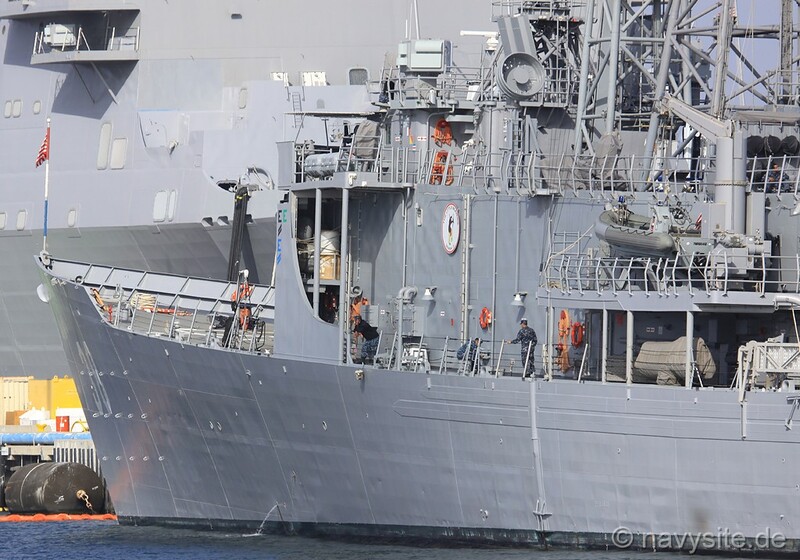 On 17 November, CURTS steamed out of Yokosuka with the INDEPENDENCE battle group for a Middle East deployment. CURTS was assigned to the Red Sea where she conducted 89 boardings as part of the Maritime Interdiction Force supporting United Nations sanctions against Iraq. CURTS rejoined the battle group in the Arabian Gulf were she continued the enforcement of U. N. sanctions. While transiting the Gulf of Oman, CURTS discovered an adrift livestock vessel. 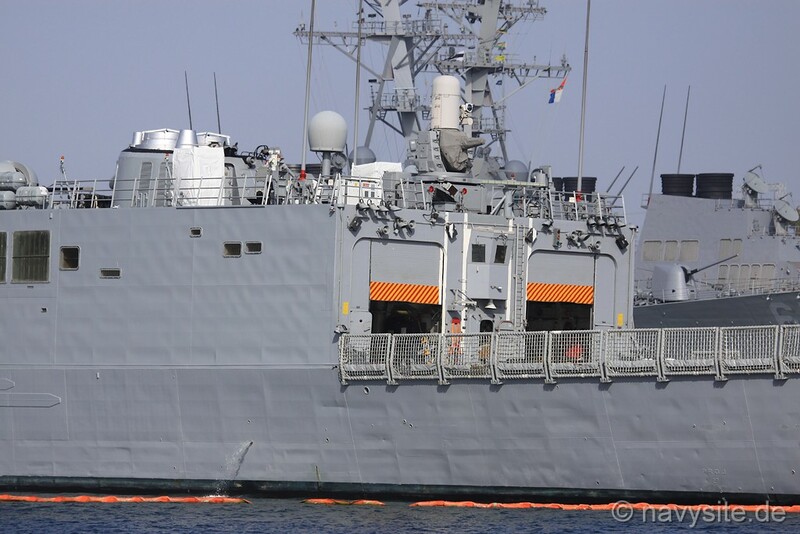 Assistance was rendered and the vessel along with its 23 crew members was towed to Oman. 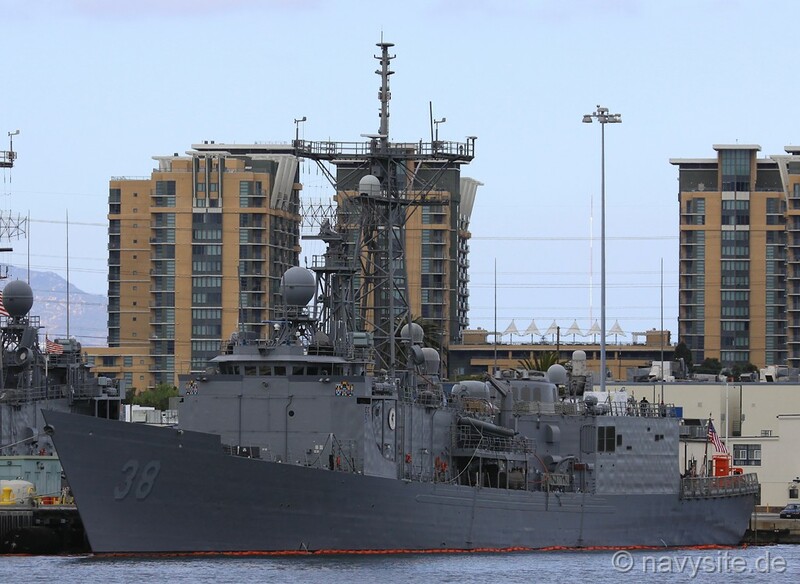 A few months later, she participated in RIMPAC 94, one of the largest naval exercises in the world. 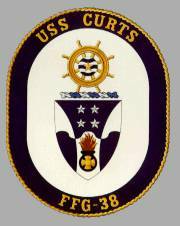 CURTS received the Seventh Fleet Battle Efficiency Award for 1994. 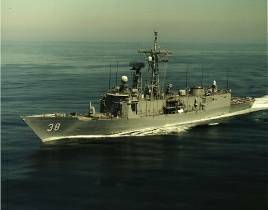 In 1995, CURTS participated in major joint exercises with units of the US Navy and Japanese Maritime Self Defense Force (JMSDF), and later with the navies of Singapore and Subic Bay. She also drew national and international media attention when she rescued 10 sea turtles entangled in an abandoned fishing net. 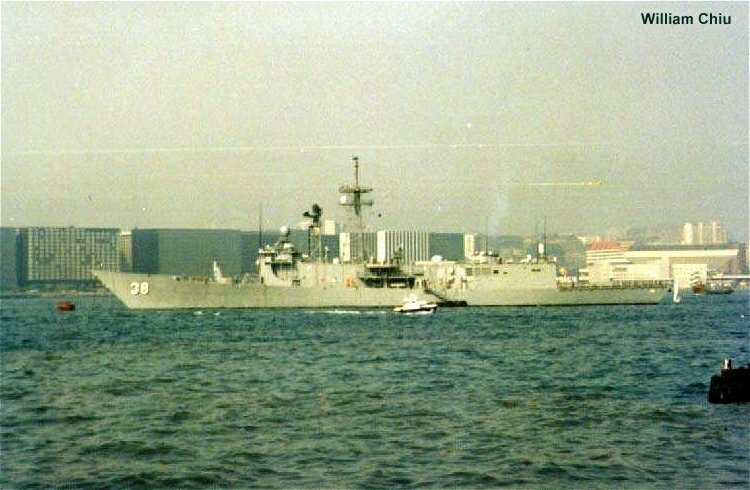 She later worked with Malaysia, Thailand, and Singapore for 1996 Cooperation Afloat for Readiness and Training (CARAT 96). 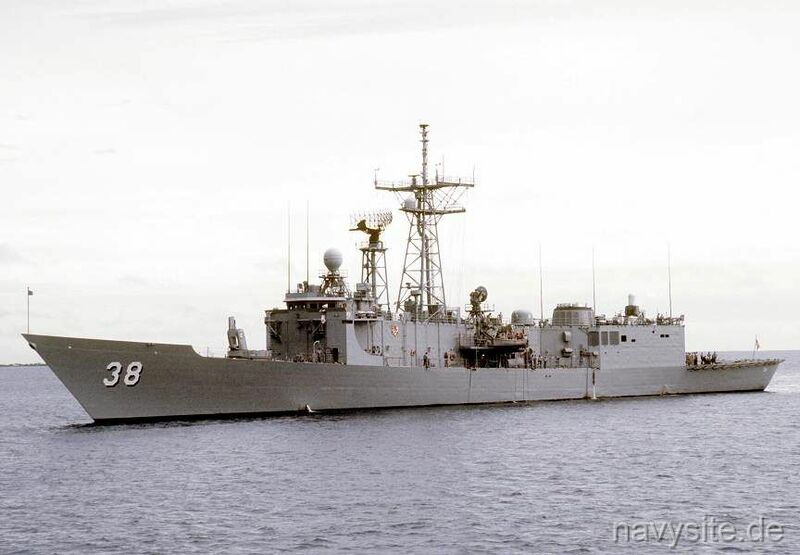 In 1997, CURTS participated in Operation Tandem Thrust, a US/Australian multi-service exercise held within Australia�s Great Barrier Reef. 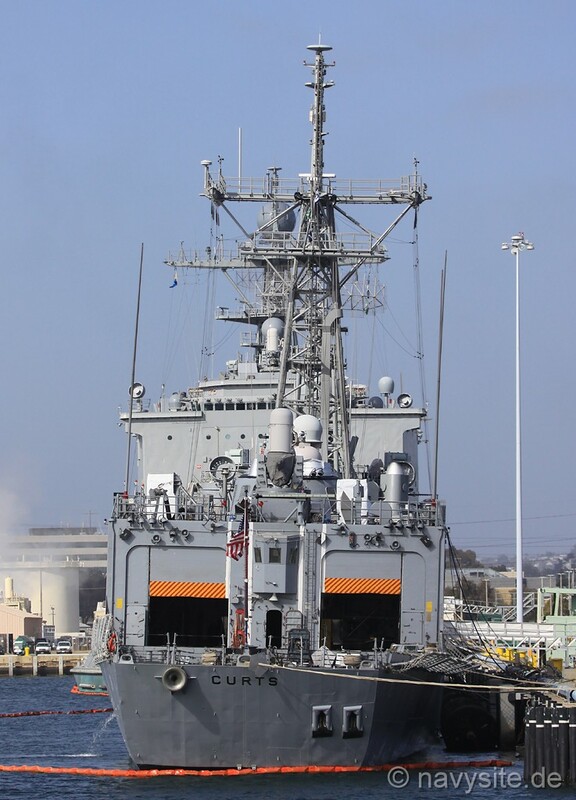 Finally, on 11 July 1997, after nine years of forward presence as part of Seventh Fleet, CURTS departed Yokosuka, Japan for a homeport change to San Diego, California. 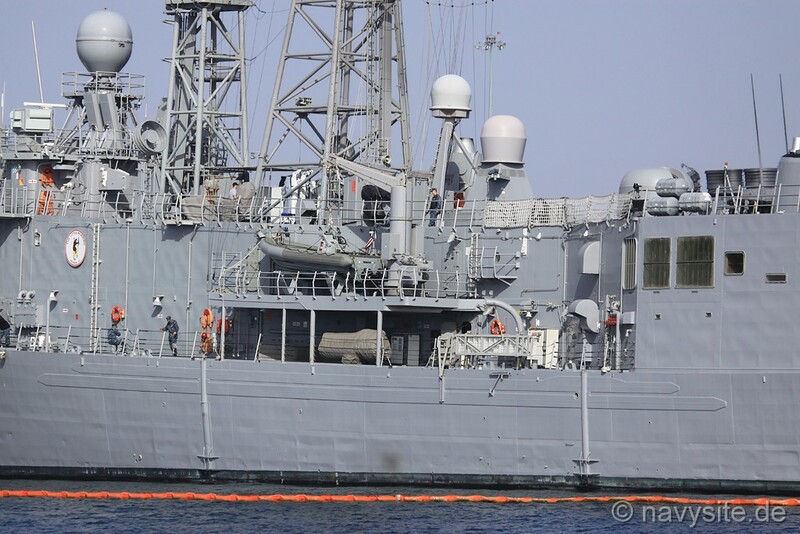 CURTS� next assignment was a six-month Counter-drug Operations deployment in the Easter Pacific and Caribbean Sea ending in February 2000. CURTS� aggressive pursuit of drug traffickers led to the interception of over 5 tons of Cocaine. CURTS participated in her second CARAT cruise which ended in August 2001. 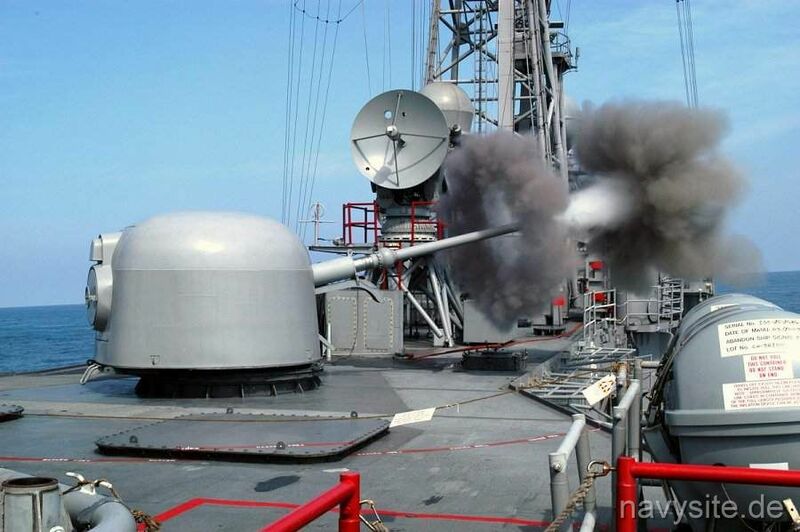 During CARAT 01, CURTS conducted multi-lateral exercises with the navies of Singapore, Thailand, Brunei, and the Philippines in order to promote international training amongst navies. CURTS� next assignment was her third CARAT cruise, ending in August 2003. 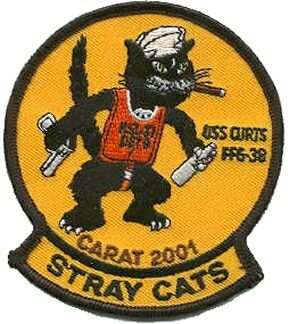 During CARAT 2003, CURTS conducted multi-lateral exercises with the navies of Singapore, Thailand and Malaysia in order to promote international training amongst navies. CURTS subsequently deployed on another Counter-drug Operation cruise commencing in August 2003. 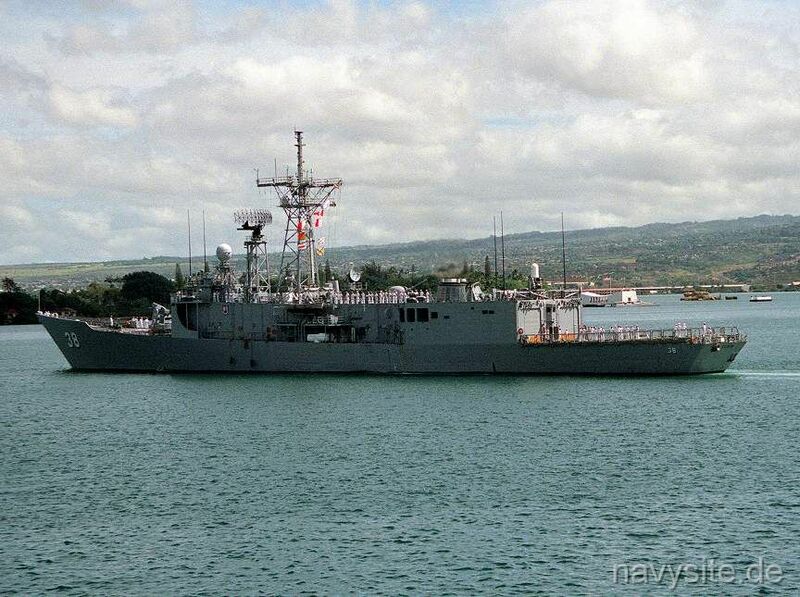 In 2004, CURTS again deployed to Southern Command on a six�month counter-narcotics deployment and received national notoriety for the largest maritime seizure of cocaine (12 tons) in history. 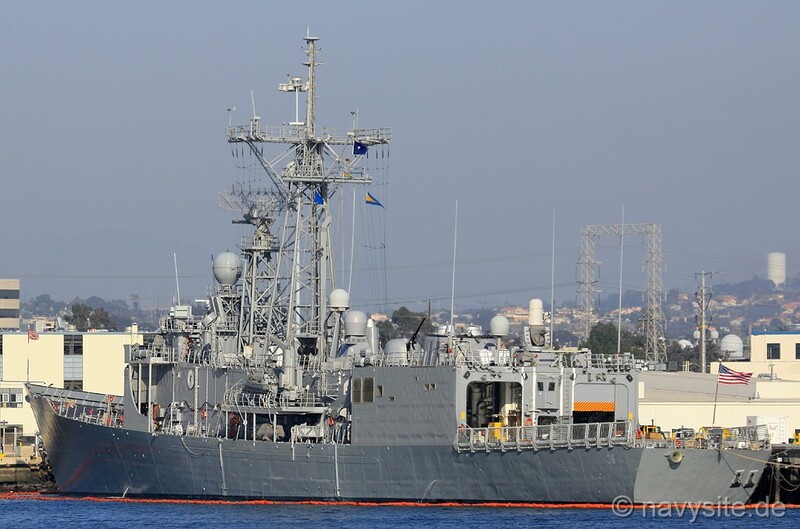 The ship received the US Coast Guard Meritorious Unit Citation for her outstanding performance during deployment. 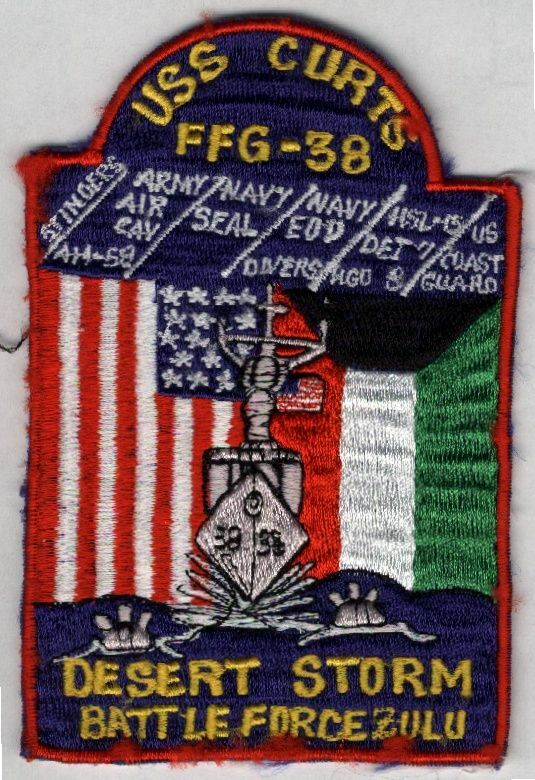 In 2008, CURTS deployed to US Fifth Fleet area of operation supporting Operation Iraqi Freedom and Operation Enduring Freedom and the Global War on Terrorism. 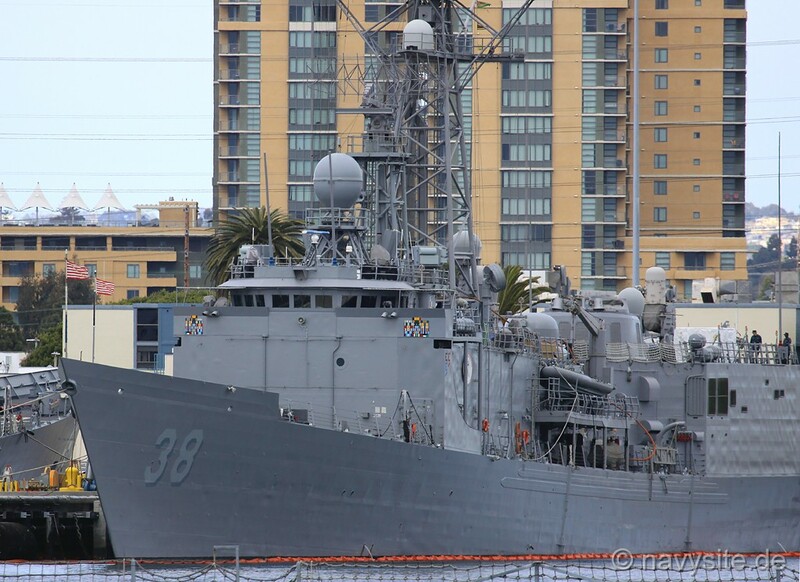 USS CURTS (FFG 38) is named for the late Admiral Maurice E. Curts, United States Navy (1898-1976), former Commander in Chief, U. S. Pacific Fleet, and heroic cruiser commander of World War II. He was awarded the Navy Cross and Silver Star Medal for extraordinary heroism while commanding cruiser COLUMBIA during the Leyte landings, the Battle of Surigao Strait, the Lingayen Gulf landings, and the liberation of Borneo. 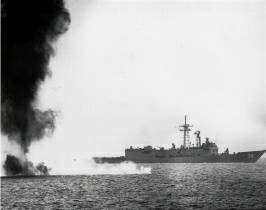 During the initial Lingayen Gulf landings, he continued to lead his cruiser in action despite the severe damage inflicted by two suicide planes which had left nearly 100 of his men dead or wounded. Following the attack on Pearl Harbor, he had earned the Bronze Star Medal as Communications Officer, U.S. Pacific Fleet and the Distinguished Service Medal as Communications Officer, United States Fleet. Following the close of World War II, he was Force Commander, Operational Development Force, U. S. Atlantic Fleet; Assistant Chief of Naval Operations (Readiness); and Deputy Commander in Chief, U. S. Pacific Fleet, serving with great distinction until 13 January 1956. On that date, he was designated by the President as the Commander in Chief, U. S. Pacific Fleet, serving until the arrival of his relief on 1 February 1958. A month later, he became Commander Western Sea Frontier, remaining until his retirement on 1 April 1960. Early naval service included duty as Officer in Charge, Radio and Sound, Naval Research Laboratory (June 1936-May 1938) where he earned a commendation from the Secretary of the Navy for outstanding service in the development of radar. The photos below were taken by William Chiu when USS CURTS visited Hong Kong in April 1991. 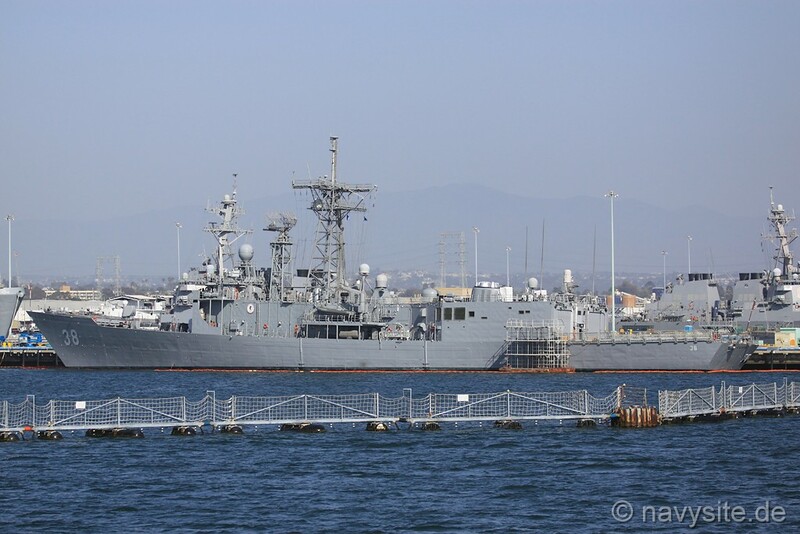 The photo below was taken by me and shows the CURTS at Naval Base San Diego, Calif, on March 10, 2008. 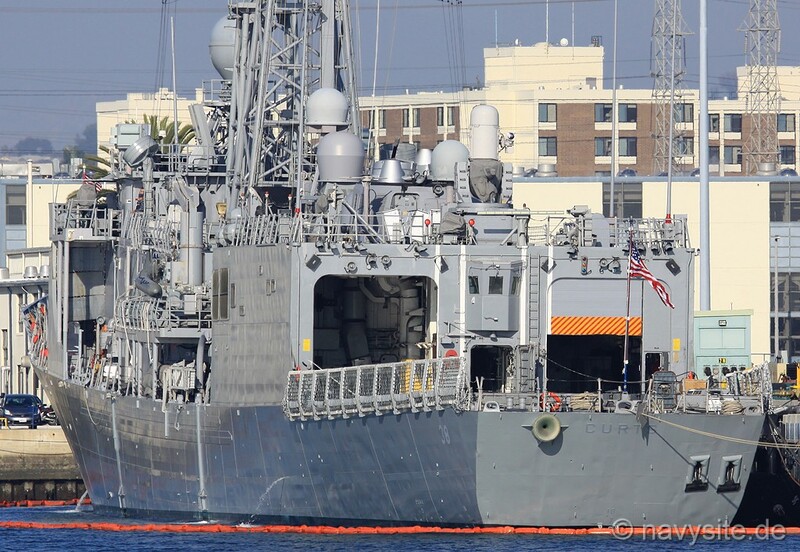 The photos below were taken by me and show the CURTS at Naval Base San Diego, Calif, on September 29, 2011. 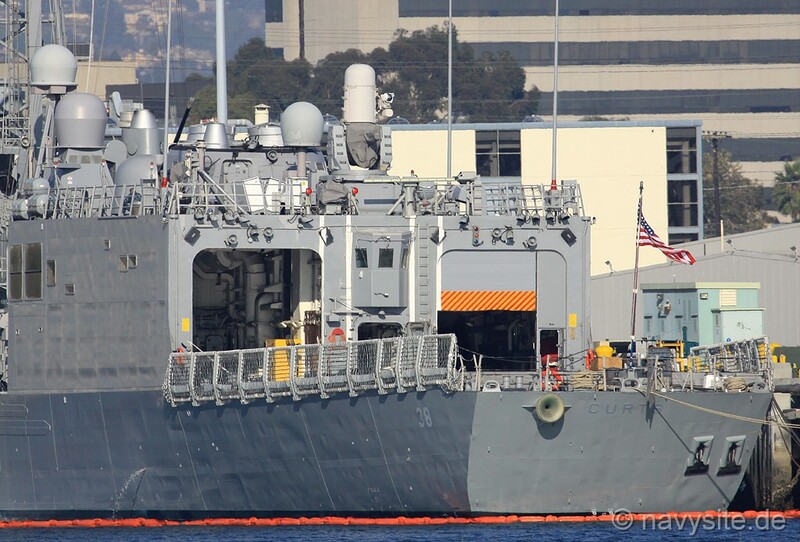 The photos below were taken by me and show the CURTS at Naval Base San Diego, Calif, on March 15, 2012. 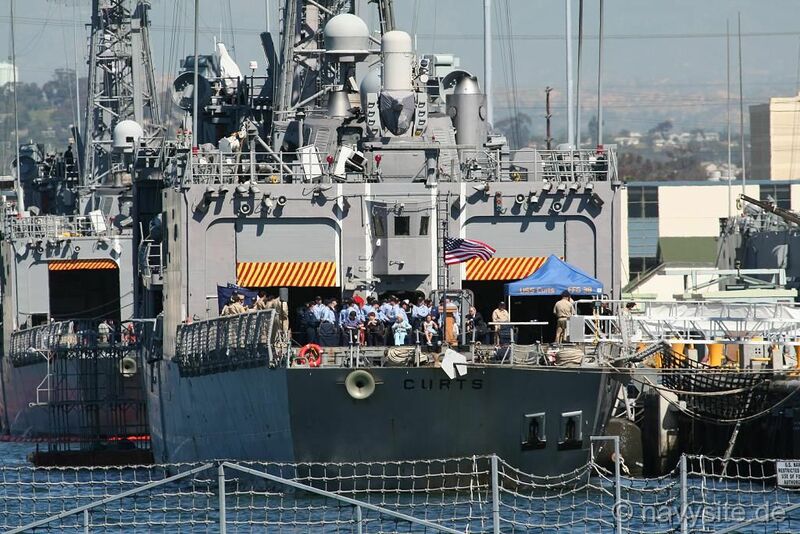 The photos below were taken by me and show the CURTS at Naval Base San Diego, Calif, on May 8 and 9, 2012. 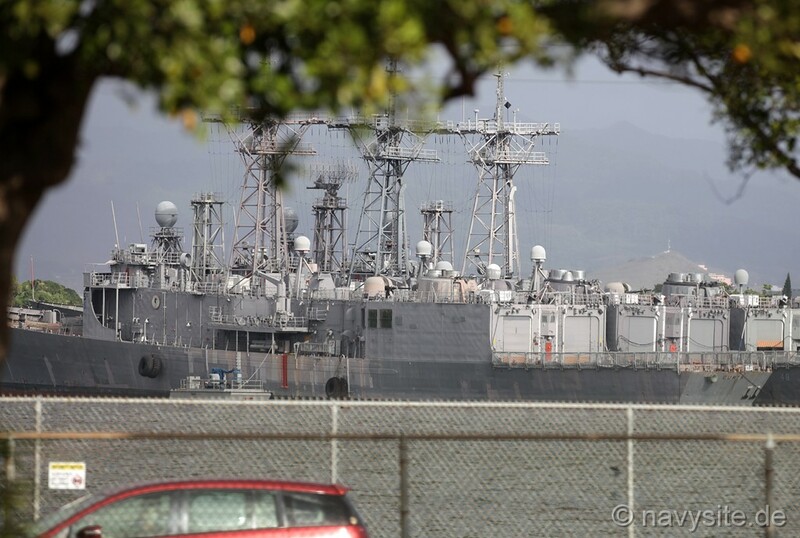 The photos below were taken by Michael Jenning and show the CURTS laid up at Pearl Harbor, Hi., on October 15, 2017.